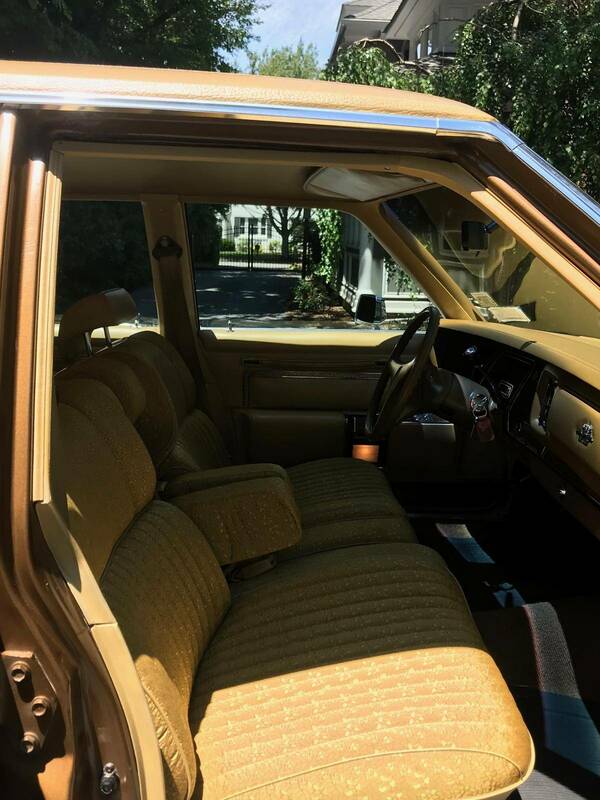 Immaculate and extremely original vehicle with original Spanish Gold exterior with factory full gold vinyl top and mint gold brocade interior. 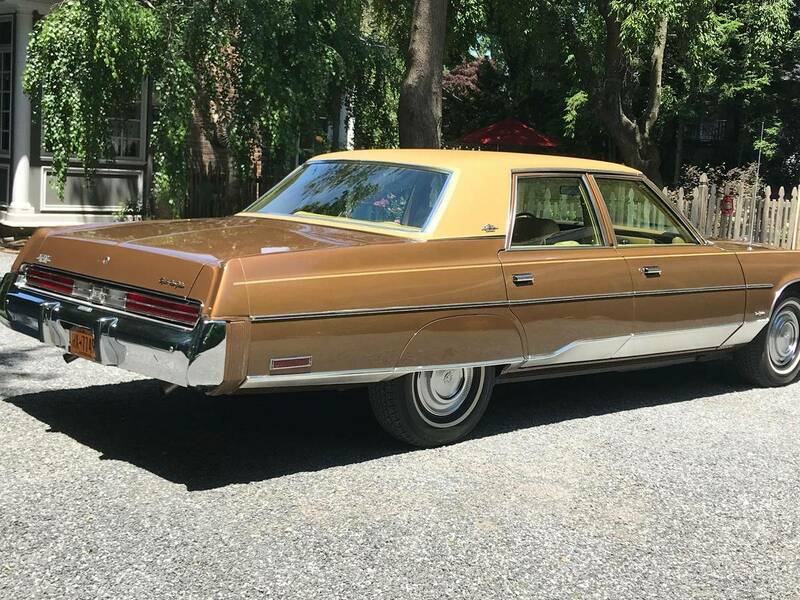 This beautiful New Yorker Brougham had one previous owner besides myself; it was purchased new from Shimkat Chrysler Plymouth in 1975 in Fort Dodge, Iowa. I have owned this car for 5 years and have repaired and replaced anything that was required, I have $10,000 in receipts. Including tires, brakes, shocks, rebuilding of the factory 4bbl carburetor, converting the AC to R134, and then back again to R12 as it works much better. The power steering was replaced, both lower control arms as well, as they needed to be. 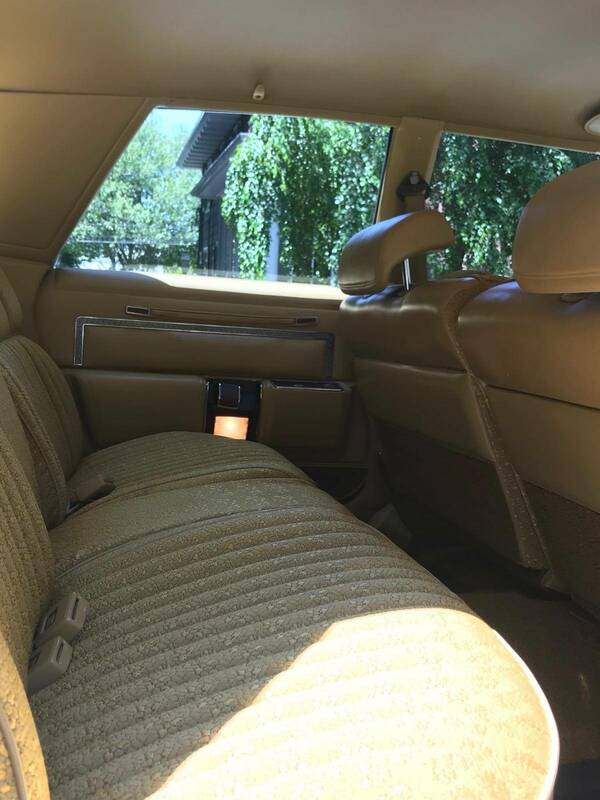 There were small paint issues that were corrected over time with the help of a Sherman Williams representative; the paint is still 90% original and the newer paint cannot be distinguished from the factory 1975 paint. 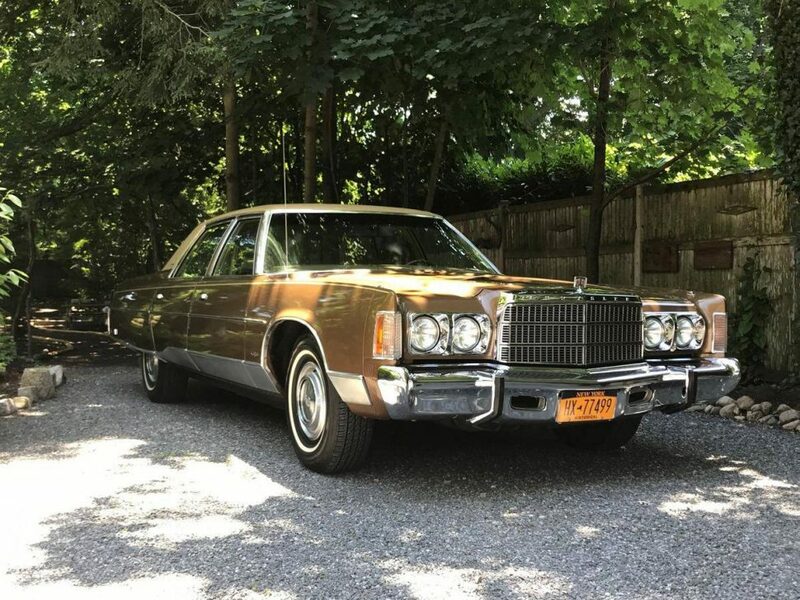 The original exhaust was replaced after the factory catalytic converter became clogged, it was replaced with a stock appearing and sounding dual exhaust system with factory 17/8″ piping. The window regulators were replaced, along with small items on an as-needed basis. The original carpets were cleaned and (re)adhered. It has been lovingly taken car of since it was new. 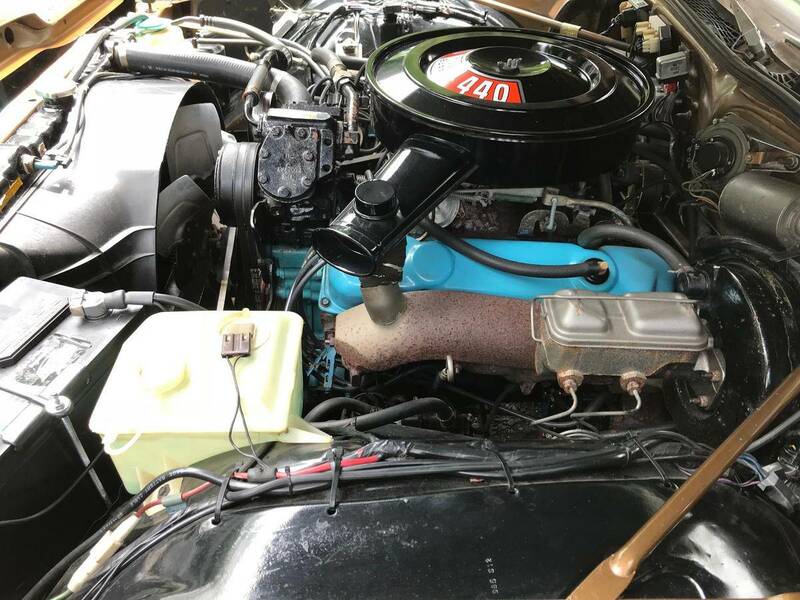 The original 440 cubic inch, V-8 engine, with the original four barrel carb and automatic transmission move the car with authority and confidence. It has a 2:70 rear end and is very comfortable at modern speeds. It sounds and looks great. I have put less than 3000 miles on the car in 5 years; it has been a delight to own and is now ready for its new steward.